The delay in finding a murdered woman’s body has been referred to South Yorkshire Police’s ‘professional standards’ department. Alena Grlakova, aged 38, was found dead on land off Taylors Lane, Parkgate, on Monday, April 8 – nearly three months after she was reported missing by worried relatives. The mum-of-four, who was originally from Slovakia but had lived in Rotherham for 10 years, was reported missing on January 15 when she failed to make contact with her family. A police investigation into her disappearance was launched and it was established that she had last been seen on Boxing Day. Detectives at that time revealed that she had last been seen leaving the Fitzwilliam Arms Hotel on Taylors Lane at 10.30pm on December 26, and searches of the area were carried out. Alena’s body was eventually found in a dried out stream on Monday, April 8. South Yorkshire Police said her body was naked and ‘concealed’ but for ‘investigative reasons’ the force has not revealed any other details. In a statement, the force said: “The area was searched in February and following a review of all of the search areas, it was revisited earlier this month. Yesterday, specialist officers remained at the spot where Alena’s body was found, ‘looking to obtain any further evidence,’ South Yorkshire Police said. A post-mortem examination proved inconclusive and further tests are ongoing to establish exactly how Alena died. 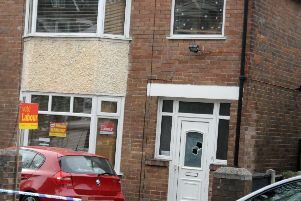 A 45-year-old man arrested on suspicion of murder was later bailed pending further enquiries. The items have not yet been located. Alena was said to have moved to Rotherham in 2008 ‘for a better life and education for her children’. Crimestoppers can be also be contacted, anonymously, on 0800 555111.